We’ve heard quite a bit in recent years about the need to step back from our tendency to draw a sharp divide between the war years and Reconstruction. Historians such as Mark Grimsley and James Hogue have reminded us that the violence did not stop after 1865. Just as importantly, many of the crucial political questions surrounding civil rights for African Americans had yet to be nailed down. A good case can be made that the war did not end in 1865. There is a practical question of how historians can help us to imagine a more seamless shift in 1865. 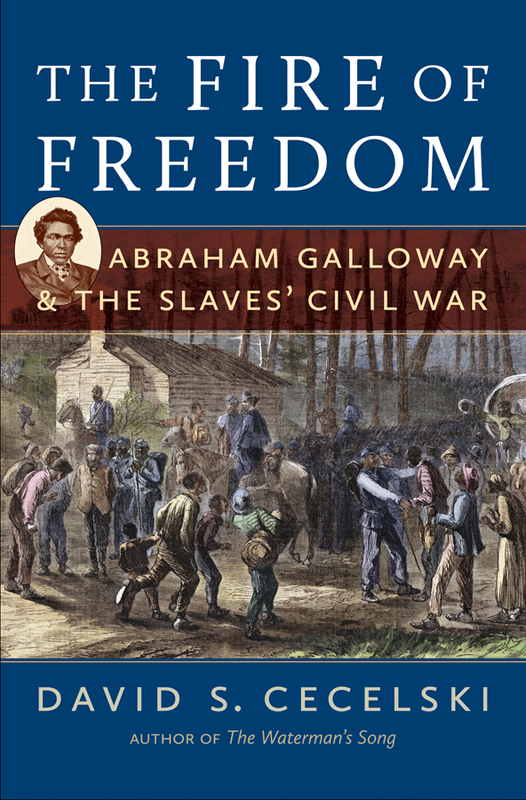 Perhaps without intending to do so, David Cecelski does just that in his forthcoming book, The Fire of Freedom: Abraham Galloway and the Slaves’ Civil War. First of all, Galloway is absolutely fascinating. Based on limited archival sources, Cecelski does an admirable job of tracing his life from slave to Union spy to North Carolina legislator. Galloway could not dwell long on the president’s death or on what possibilities for black America might have passed with him. In North Carolina, as throughout most of the old Confederacy, African American life quickly resumed the urgency of a guerilla war, and neither he nor other local activists could afford to hesitate in their labors…. It’s very subtle, but quite effective. For millions of Americans, including Galloway, the surrender of armies and assassination of a president did not signal the end of the struggle. For millions of American, including Galloway, the surrender of armies and assassination of a president did not signal the end of the struggle. Nor should it. I agree with the argument that the war, or struggle as you put it, did not end in April of 1865 but continued on into the reconstruction era. The rise of the Klan virtually fulfills Davis’s call for guerrilla warfare. George Ashburn was murdered in 1868. The Colfax Massacre took place in 1873. I try to teach the Civil War and Reconstruction together as one unit, because of that continued political, social, and physical struggle. I try to teach the Civil War and Reconstruction together as one unit, because of that continued political, social, and physical struggle. I’ve been doing the same over the past few years. Kevin this is all well and good, but where is your review of Abraham Lincoln, Vampire Hunter? The entire internet is waiting. OK, I haven’t been posting much on your site, but this comment? Awesome sauce. I doff my hat to you. That is too funny. I forgot about that thread. OK, I will make it a point to see the film and post a review. Nothing short of It was awesome. will suffice. It was mildly entertaining as long as you suspend belief. It had no value what so ever, but it truly is a thrill ride. I’m speaking about the book of course. I’d say the movie is just sort of fun. I do however find this quote from the author of the book interesting. When I was in school in the 1970s, the Civil War was followed by the Gilded Age. It wasn’t just that our teachers didn’t care about blacks, they didn’t care about the South either.